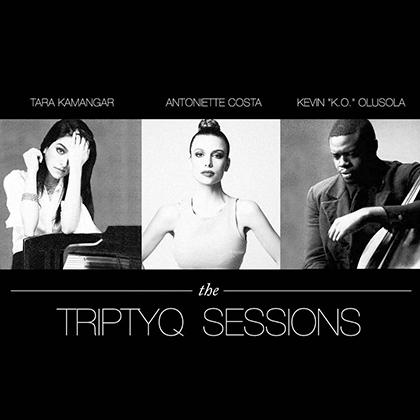 TRIPTYQ- Antoniette Costa, Tara Kamangar, and Kevin “KO” Olusola–weaves classical and urban sounds, juxtaposing classically driven instrumentals with punching vocals and beatboxing. Having bonded over a shared passion for songwriting, literature, and common approach to performance, the members of Triptyq will soon be releasing an album of original songs. Their recent single “Mr. Right” debuted at #2 on the classical iTunes chart.